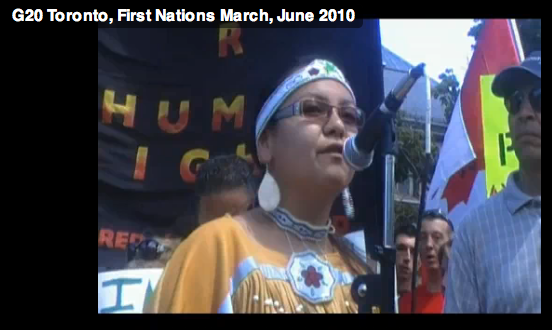 Miss Fish reports live from the streets of Toronto and shares her experience as a non-native woman engaging in solidarity with indigenous peoples. Hear the sounds of thousands in song with drums. "Native rights are human rights."